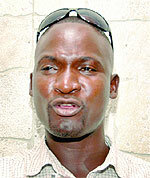 BURLINGTON, Vt. – Truth Wins Out today called on Ugandan authorities to investigate anti-gay activist Martin Ssempa (pictured) for potential extortion, perjury and fraud, following the New York Times’ discovery that Ssempa may have paid and pressured a witness to give false testimony in favor of the Anti-Homosexuality Bill. In a last ditch effort to bring the “Kill the Gays” bill up for a vote, Ssempa brought so-called “ex-gay” activist George Oundo to a meeting with the speaker of Parliament, Edward Kiwanuka Ssekandi. In the meeting, Oundo said that he had gone from gay-to-straight and strongly urged the speaker to pass the notorious measure. However, with Ssempa no longer present, Oundo (pictured left) reversed his testimony and told New York Times reporter Josh Kron that he was paid by Ssempa to say he had gone straight and actually opposed the anti-gay bill. Clearly, there appears to be coercion, if not extortion involved, given Oundo’s quick repudiation of his testimony and his allegation that he was paid for delivering a bogus sexual conversion tale. “When I joined Mr. Ssempa, I told him all my problems,” he said. “I had to come out and join the struggle. “Please help us; let the bill pass,” he said. But an hour later, in a quiet hotel, Mr. Oundo recanted much of what had been said at the meeting. As for being a “former homosexual,” that, too, was not true. I’ve always been gay,” Mr. Oundo said, in a timid but growing voice. “I didn’t choose it. “David Kato was the first one who taught me to protect my human right,” Mr. Oundo added. Mr. Oundo said that his presence alongside Mr. Ssempa at Parliament had been to “protect” himself and that he had been contacted only that morning by Mr. Kagaba about the meeting and offered about $42 to attend. He said Mr. Ssempa had offered him about $2,000 in 2009 to repent and switch sides in the debate, but later reneged. 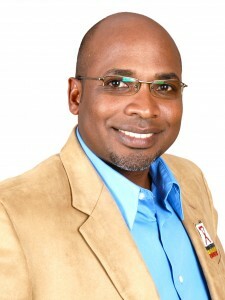 Either way, Mr. Oundo became a poster-child for Mr. Ssempa’s anti-homosexuality movement. Mr. Ssempa declined to comment on the allegations. Mr. Oundo admitted that he had picked up boyfriends at high schools and universities, what the antigay movement calls recruiting. But he said Uganda’s gay population was full of “natural-borns,” like himself. “If I live or die, I am gay, and if I am buried, bury me gay,” he said.